It's the first time in about a dozen years that weather has interrupted the "Festival of Snow," a family event which takes place in a Montreal park. The event occurs over four weekends and is in its 36th edition, with the aim of "discovering and celebrating the joys of winter," its website says. Sunday's activities were cancelled because of the "intense weather" forecast but events would resume next Saturday, it said. 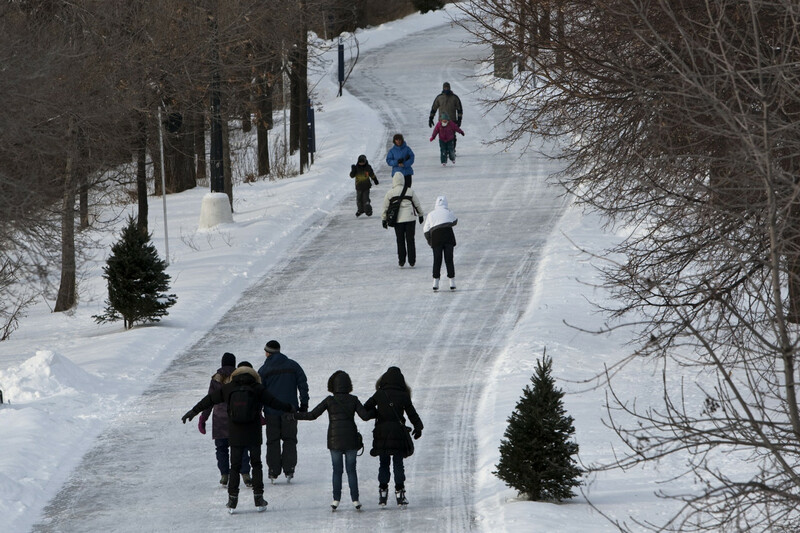 Much of Canada including Montreal faced extreme cold and snowstorms over the weekend. Environment Canada said the temperature was -15 degrees Celsius (five degrees Fahrenheit) but felt like -29 C in Montreal. Snow fell for much of the day, accompanied by wind gusts that limited visibility. Intense cold and snow usually don't trouble Canadians but the festival organizers said they made their decision because of "glacial cold, wind gusts and dangerous roads."